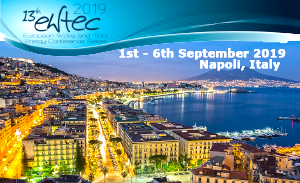 The European Wave and Tidal Energy Conference (EWTEC) series are international technical and scientific conferences, focused on ocean renewable energy and widely respected for their commitment to maintain high standards of academic and industrial contributions. Read more. EWTEC Proceedings are available to buy from the secure online EWTEC Proceedings portal. A unique opportunity to reach hundreds of delegates from all over the world! A number of exciting opportunities are now available for sponsorship, marketing and exhibition. Details here.